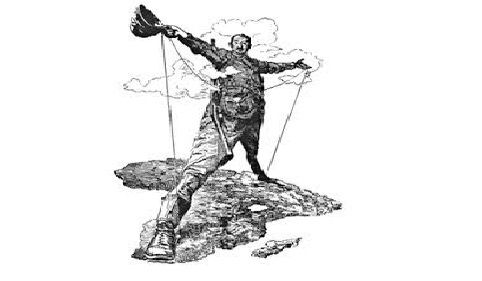 "The Berlin Conference was Africa's undoing in more ways than one. The colonial powers superimposed their domains on the African continent. By the time independence returned to Africa in 1950, the realm had acquired a legacy of political fragmentation that could neither be eliminated nor made to operate satisfactorily." (H.J. de Blij and Peter O. Muller, Geography: Realms, Regions, and Concepts (1997) p. 340). The initial task of the conference was to agree that the Congo River and Niger River mouths and basins would be considered neutral and open to trade. Despite its neutrality, part of the Congo Basin became a personal kingdom for Belgium's King Leopold II and under his rule, over half of the region's population died. At the time of the conference, only the coastal areas of Africa were colonized by the European powers. At the Berlin Conference the European colonial powers scrambled to gain control over the interior of the continent. The conference lasted until February 26, 1885 - a three month period where colonial powers haggled over geometric boundaries in the interior of the continent, disregarding the cultural and linguistic boundaries already established by the indigenous African population. Italy's holdings were Somalia (Italian Somaliland) and a portion of Ethiopia. Spain claimed the smallest territory - Equatorial Guinea (Rio Muni).